For sale is a 44mm Panerai PAM 01312 Luminor Marina 1950 3 days. 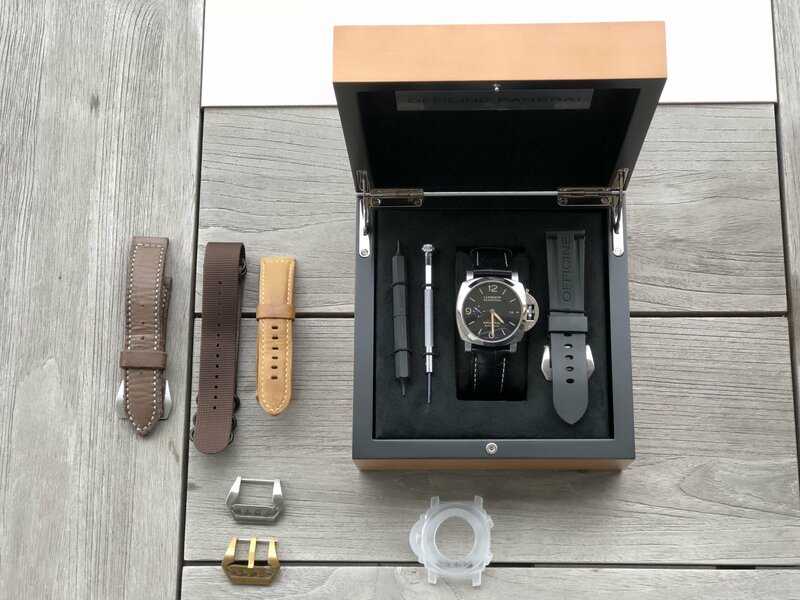 The watch was well maintained as it has an excellent condition, comes completely with extra straps, all stickers, hand tags, box and papers. There is no record of any scratches ever seen on the watch.